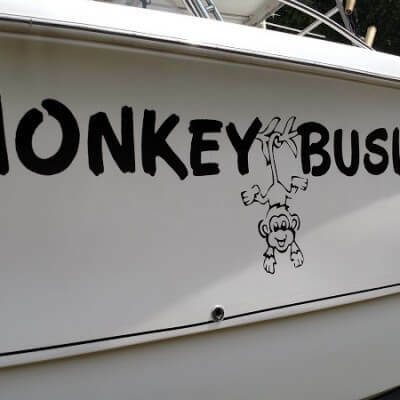 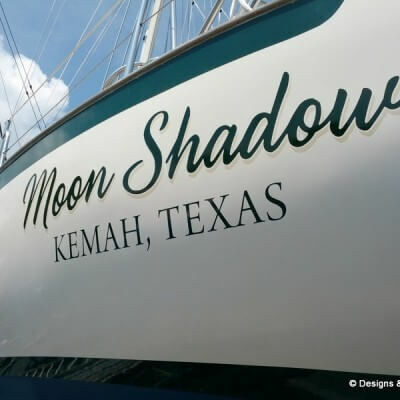 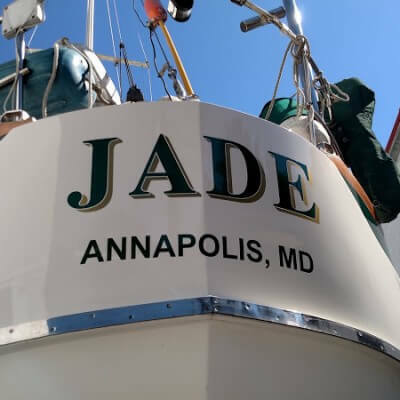 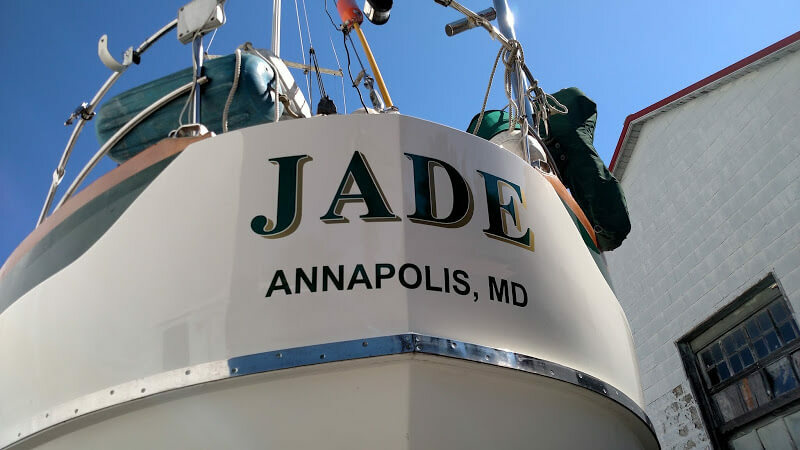 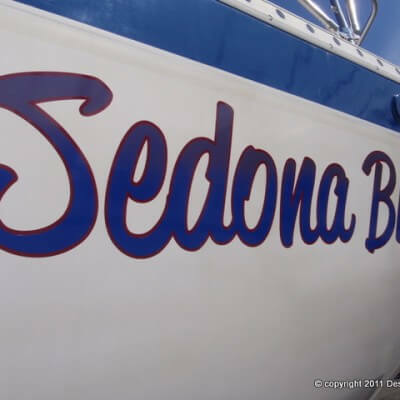 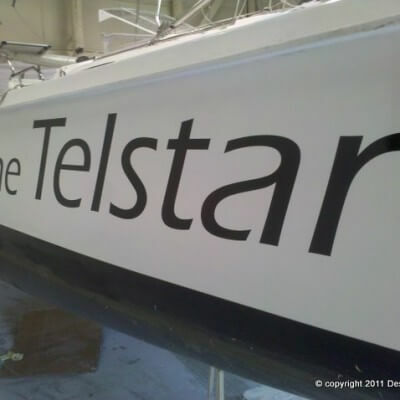 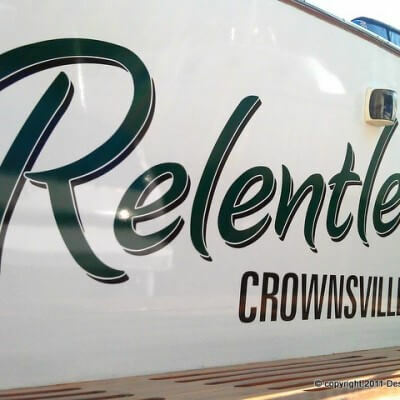 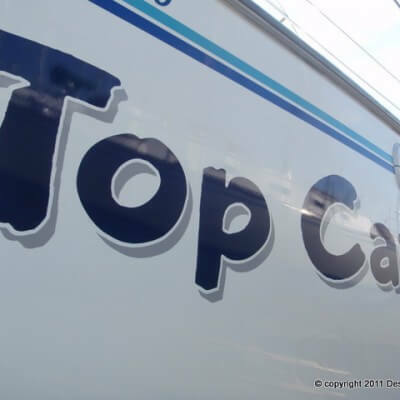 Custom boat lettering for JADE. 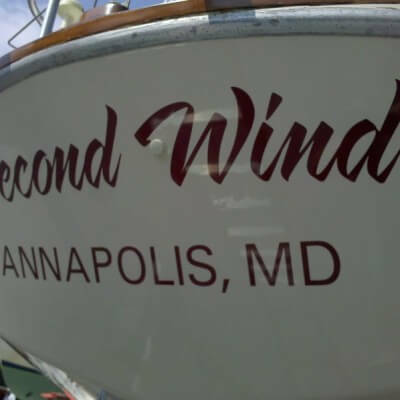 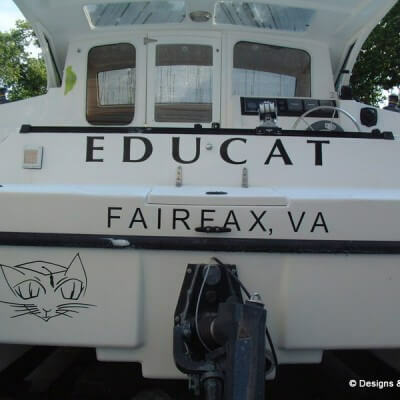 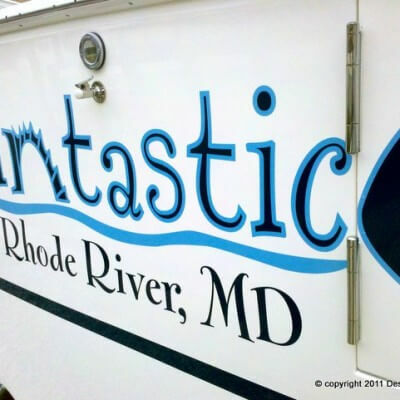 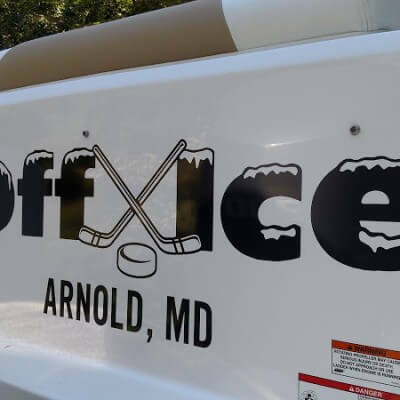 Designed and installed by Designs & Signs for Hartge Yacht Yard in Galesville, Maryland. 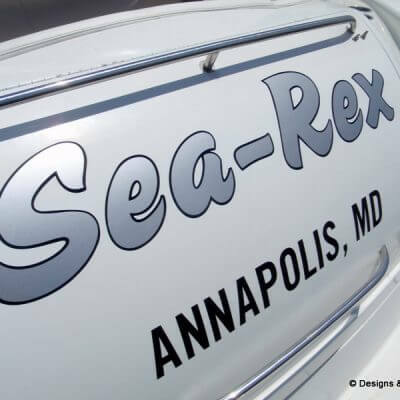 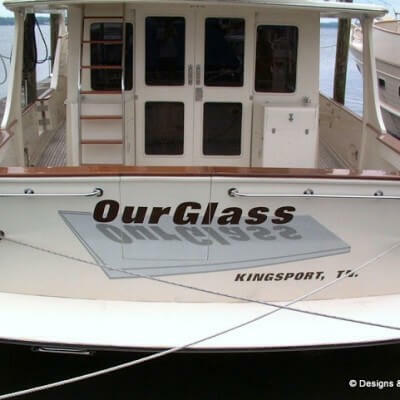 We do it all – sailboats and powerboats, fishing boats and luxury yachts. 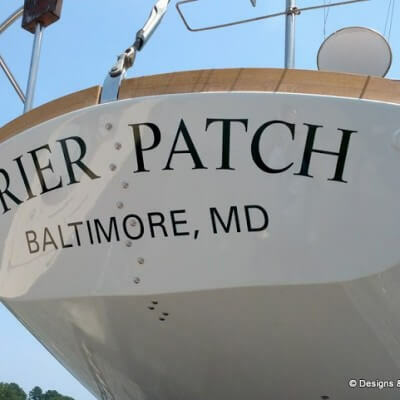 Gold Leaf, Carved Quarterboards and Personalized Life Rings too. 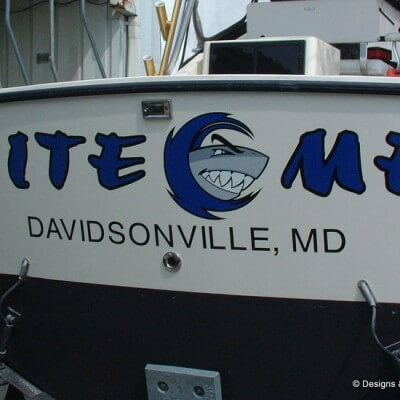 Some more links below to samples of our work!